God cares about this play that Manning is calling. God cares who wins the Super Bowl. In fact, God cares deeply about every player on both teams. God cares about both teams’ coaches, trainers, equipment managers, doctors, owners, and cheerleaders. God cares about the referees. In short, God cares. He cares more passionately than anyone on the field, or on the sidelines, or watching at home or at the sports bar. If something matters to the people on the field, or on the sidelines, or watching at home or at the sports bar, it matters to God. Granted, many Christians resist this idea. Like Mark Sandlin, a blogger for Sojourners magazine. Just last week, in his list of 10 things Christians shouldn’t say, he complained about Christians who said that they “must be living right” when, for example, they find a desirable parking spot near the entrance of a store (although I’ve never heard someone say this in a sincere way). Really? God doesn’t care? Then I would ask Sandlin if God cares about the job he’s doing at Sojourners, or if God cares whether or not Sojourners exists at all. Why would that matter to God? Sojourners magazine isn’t curing cancer, putting an end to malaria, or solving the crisis in South Sudan. 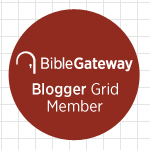 Why should God care about something so trivial as a blog post? Or even someone who makes his living by writing things like blog posts? So here are these NFL players, pouring their hearts, minds, energy, and skill into this job they do, which they will soon be doing on the most prominent stage on the planet—and literally risking their health and wellbeing while doing it. But God doesn’t care? You see my point: It’s almost as if we’re saying, “God is too big to be concerned with things like Super Bowls as long as children are starving in North Korea.” But saying that God is “too big” is just another way of saying God is too small: as if every moment God spends helping Peyton Manning convert a third-and-long is one less moment that God has to devote to the non-trivial problems of the world. As if God isn’t sustaining all of Creation into existence at this moment! As if God isn’t more intimately involved in the minutest details of Marshawn Lynch’s training regimen than Lynch could ever be himself! The Deists were wrong, remember? Our God isn’t the great watchmaker in the sky who set the universe in motion and then went to sleep. We Christians believe in a God who is both transcendent (above and beyond this world of time an space) and immanent (closer to us than we are to ourselves). That means that God isn’t one thing among other things in the universe: he is entirely other. Therefore, no one is competing for God’s attention. He can hear and respond to everyone’s prayers—no matter how big or small. Recent polls have found at least a quarter of Americans pray for sports teams, and that number is even higher among evangelicals. As a theologian, what do these stats tell you? 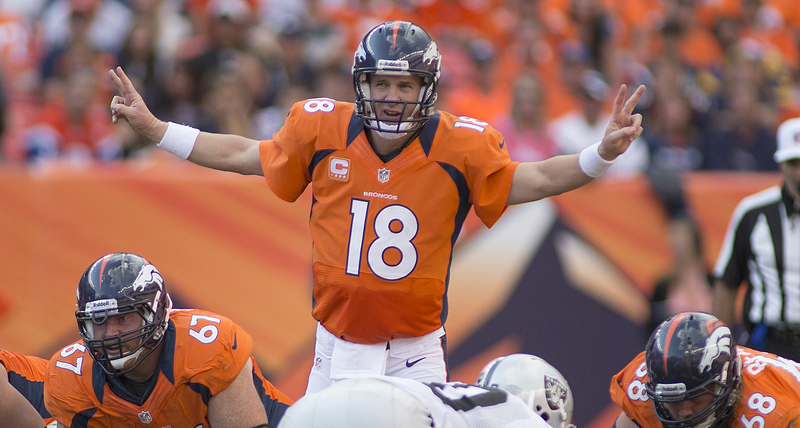 Peyton Manning is a Christian, but he says he doesn’t pray to win games. He said, “I pray to keep both teams injury free, and personally, that I use whatever talent I have to the best of my ability.” Is it wrong or should we feel bad for praying for a win? As football fans prepare for the big game, what thought would you want to leave them with? I think the overriding thing I want to say is God’s providence rules all of life, even down to the smallest details. Nothing happens without either God’s direct will or at least his permission of that event. That includes every fumble, every catch, every run. All of these things are in the providence of God, and therefore, we should not think that these things are a matter of indifference. These are of importance to God as well even though they seem trivial. This entry was posted on	January 31, 2014 at 11:35 pm	and is filed under Uncategorized. 1) Your main point is important: God is not too big for the minute. “Consider the lilies,” right? If we confess God as imminent in any way (Immanuel, “God is with us”) we can’t casually say God doesn’t “care.” Yes, I whole-heartedly agree and am on board. 2) On the other hand, I whole-heartedly disagree with William Craig’s idea of providence as that which “rules all of life, even down to the smallest details. Nothing happens without either God’s direct will or at least his permission of that event.” This, in my mind and reasoning, goes the opposite direction of deism. reducing God to nothing more than puppeteer and trampling over any conception of free will (something as a Arminian-Wesleyan I have trouble swallowing). If this is pushed to the radical extreme, it gets into “God caused tragedy X because Y” territory. So, my response is to reframe the issue: it’s not the God doesn’t care. As you point out, “In short, God cares. He cares more passionately than anyone on the field, or on the sidelines, or watching at home or at the sports bar.” As the letter to the Ephesians notes, the love of Christ is beyond knowledge (Eph 3:19). Instead, while God’s providence is big enough to care, my suspicion is that God’s providence also works in ways that is also beyond knowledge. God has given gifts and graces to the world, and people have the freedom to use those gifts to their utmost (or not). Additionally, there is the reality of chance and circumstance, something I more and more have become convinced is part and parcel of God’s intent for creation. Sometimes things just happen. So no, I personally do not believe God is influencing the *outcome* of the Super Bowl, though I do believe God is invested in those that are participating as players, coaches, fans, etc. I’ve been thinking through these issues of province the past few years, and at times I’m not sure what I’m actually saying. But since I’m not actually God and don’t really get how everything works, I could be getting it wrong. So I guess I’ll just have to fall back on our old Christian Thought catch-phrase: It’s a mystery. Yes, but who’s pushing this version of providence to radical extremes? It doesn’t logically follow that because God permits something to happen, God therefore causes something to happen. But if God permits something to happen, even in spite of intercessory prayers to the contrary sometimes, we may rightly assume that God has his reasons for doing so, and that God is nevertheless using that event to serve his purposes. And he’s doing so without overriding anyone’s free will. How is that a threat to Arminian-Wesleyan thinking? Are you saying there chance events happening outside of God’s foreknowledge? An open theist type position? As for God’s influencing the outcome of the Super Bowl, who knows? I agree there’s mystery here. But on what basis can you rule it out? Surely not on the basis simply that “God doesn’t care,” which was the point of my post. Just noting that it could be pushed to such radical extremes. I intentionally avoided describing it as “pushed to its logical extreme,” since I don’t think such an extreme is very logical. That being said, I may have put too much emphasis on the causal aspect and not enough on the permissive one. I think the more interesting thought, and the one I’ve really been kicking around, is in the cases that God “allows” something, does God allow it because it will bring about a certain outcome to fulfill a plan? Or because allowing it is the plan? What I mean is, creation is set up with certain rules, the things that science explains to us. Mass, gravity, etc. So, theoretical case. Rain waters spend centuries beating against a cliff face, loosing a boulder through erosion. Gravity pulls on that boulder over time, and eventually the combination of the two sends the boulder plummeting towards the earth and strikes a person, who dies. Total random accident from a human perspective. Now, the view of providence above says that God caused or allowed this to happen because of reasons we don’t know. Omniscience says God would know that rock would fall and kill that person. Ominpotence suggests God could have just stopped that rock in midair if God wanted to. What if God’s reason for not stopping the rock is that it fell simply because of the laws of physics that God set up in the first place? In other words, God’s purpose in that moment is for the universe to be the universe. Now, I’m not a deist (you of all people should know this of me). I firmly believe God intervenes and works in the world. And I firmly believe God, the “Love Divine, All Loves Excelling,” care more than we can imagine. But I may be starting to believe things happen that have no actual impact on God’s “plan,” whatever that is. If God has a plan or reasons, I may think they are much more flexible that the simply causal/permissive model has traditionally allowed. But I do confess as a matter of faith that in these moments of tragedy and heartbreak is maybe when God is most present. Is this open theism? Maybe. Honestly, had to look that one up. Been up to my neck in philology and history the past few years, less so on more theological thinking. Maybe not “outside of God’s foreknowledge,” in that God doesn’t know, but that God knows all possibilities of all things (which from my understanding is at least a version of open theism). Personally, I few this possibility like a giant spider web with infinite possibilities branching out from each point in time (though even time itself is relative. See what I did there?). Again, I’ve been wrestling with this for years, and such a line of thinking makes more sense of the biblical view of God in my view, particularly in the OT. But I’m not yet willing to build a house on it, you know? At this point, it’s all ideas and this is probably the most systematic I’ve even gotten about it (or may ever get about it, to be truthful). I hope that made some sort of sense to you; I’m not sure it did to me. And re: your second comment: No, I can’t rule out God influencing the outcome, especially only through the idea of God not caring. I did state I was on board with your main point and something we should continually return to. But just because I can’t rule it doesn’t mean I believe it. PS: I miss kicking these kind of ideas around with you. All we talk about here in Austin is old dusty manuscripts and potsherds. That person who gets struck by the boulder doesn’t get struck by the boulder in a vacuum. Like the famous butterfly effect, who can imagine (except God) the nearly infinite sequence of cause and effect this one event triggers? It’s so much more than God letting one boulder fall. Even limiting the scope of this thought experiment to the effects it has on the lives of this person’s immediate family and friends, for example, imagine how significant this one person’s death might be. When does God’s providential care kick in? At what point does God intervene to do something other than merely let the laws of physics run their course? What is the role of intercessory prayer? C.S. Lewis gives an intriguing and plausible account of how this all might work out in an appendix to his book Miracles.